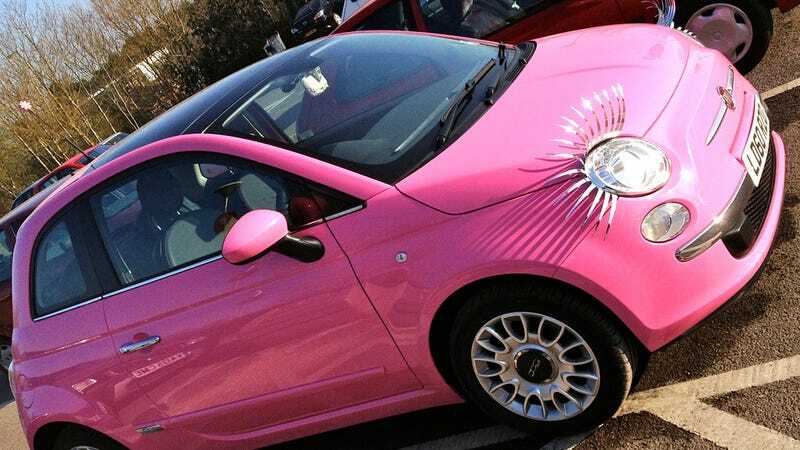 Sometimes you meet someone who is kind and nice and smart and funny, and then you find out they drive a hot pink Fiat 500 with eyelashes over the headlights. That's a dealbreaker. In the case of most cars, you really shouldn't judge a person on what car he or she drives. For instance, plenty of the world's fastest racing drivers have boring minivans for their day-to-day transportation. There are, though, some cars that are just dealbrakers. There are cars that would make you change your mind about someone, just knowing they owned that. For m, it' be a cutesy cuddly Fiat, or anything with those goddamn eyelashes. If you own one, we can't be friends. I'm sorry.